This study describes the key areas that matter to adolescent survivors of Invasive Meningococcal Disease (IMD). Satisfaction with Life After Meningitis is a brief multidimensional measure of health related quality of life that is reliable and correlates with criterion variables in a theoretically meaningful way. To develop a Health Related Quality of Life (HRQoL) measure for adolescent and young adult survivors of (IMD) we used a cross-sectional study and focus groups. The study was conducted in two phases. In Phase 1 a pool of potential items were generated based on the following: a review of existing measures, focus groups with IMD survivors, and an expert group consultation. Phase 2 involved administration of the questionnaire to a sample of adolescent and young adult IMD survivors. Factor analysis suggested a correlated four factor solution: Wellbeing, Positive about Future, Social Support, and Confidence. These factors were significantly correlated in a theoretically predictable way with scores from the Beck Depression Inventory (correlations ranged from −0.77 to −0.81) and the eight domains of the SF-36 Health Survey (correlations ranged from 0.32 to 0.79). The reliability of all subscales was high ranging from 0.85 to 0.92. The Satisfaction with Life After Meningitis (SLAM) questionnaire is a HRQoL self-report measure that produces reliable scores and is appropriate for use with young survivors of IMD. There is also evidence of concurrent validity with existing measures of physical and psychological well-being. The development of SLAM was funded by the Meningitis Trust. The Meningitis Trust were not involved in the design and conduct of the study; collection, management, analysis, and interpretation of the data; preparation, review, or approval of the final manuscript. We would like to thank all the young people who gave their time to meet with us and share their ideas and experiences. Aspesberro, F., Mangione-Smith, R., & Zimmerman, J.J. (2015). 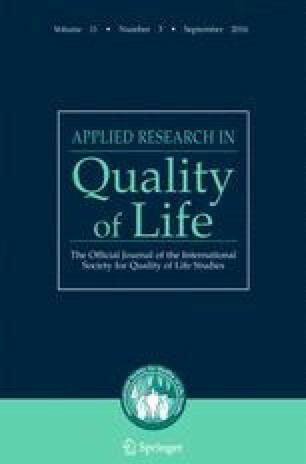 Health-related quality of life following pediatric critical illness. Intensive Care Med. 2015 Apr 8. DOI 10.1007/s00134-015-3780-7.